It’s been a long time since I’ve posted but an old friend of mine who got in to karate roughly 2 years ago has reminded me of something so important that I’ve had to write about it. You see a lot of us will have watched the karate kid back in the day and had grandures of being the next Mr. Miyagi. I too was one of those kids and although trying my best I never made it. You see to be good at karate or any martial art you need to not only be naturally talented but you also need to work hard too. I will always remember my Dad’s words when he spoke about boxers. . He said the best ones were the naturally talented and also trained hard As an example for this I’d say Mike Tyson and Lennox Lewis. Both naturally gifted and hard workers. Then you get your boxers who werent naturally talented but worked hard at their craft like Frank Bruno. Thie bloke was never as naturally gifted as the two forementioned but he wanted it so bad and suçceeded. I remember watching him as a child winning on points and holding on tactically in the last round against Oliver Mccall. All I want to say to anybody that may come across my blog is this. .. Do your best and nobody can ask anymore from you than that. Win or lose it DOES NOT MATTER. 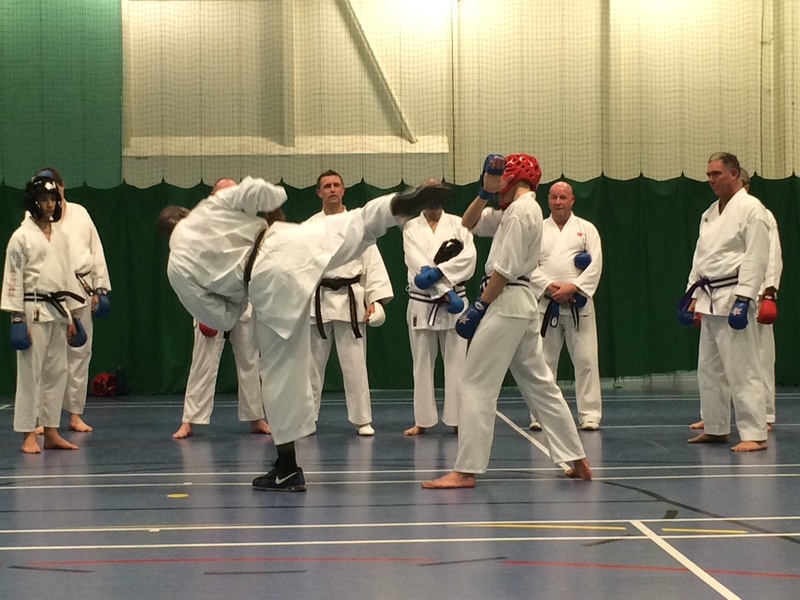 If you finish your kumite or kata and lose to your opponent then hold your head high. All you can do is your best and as long as you’ve done the best that you can do then nobody can take that away from you. If you get the oppotunity to spa with somebody better than you then grab it with both hands, do not be afraid. If they are better than you then they will improve you. You have nothing to lose and the pressure will be on them. A final word : You can only be the best you can be. Win or lose at the end if you can hold your head high and say i couldn’t have done anymore then that will always be a win. Forget everybody else , just work on making yourself a little bit better than you were the day before. The C.I.K.A event was made extra special for two reasons, not only was it the 1st C.I.K.A England event, but in addition Junior Lefevre Sensei was also in attendance to referee and brought with him a Belgian International team to compete along side the other competitors. It was a long day that started with us meeting at the Cocksmoor Woods Leisure Centre at 6.45am in time to arrive for an 8:30am start at the Greenbank Sports Academy in Liverpool. The turnout was pretty good, especially for the first C.I.K.A England competition and there were a confirmed 350+ entries. It was nice to see that the competition had attracted a lot of attention with competitors from different countries, of which included Belgium, France and Denmark amongst others. There was also a fantastic turnout from Ireland and the clubs representing from just over the water did themselves proud. Specifically looking at our club Ruach we had a team of 10 competitors who travelled up together to take part. What I found from this event which I hadn’t quite appreciated as much in the past was the spirit of togetherness that was amongst the team. 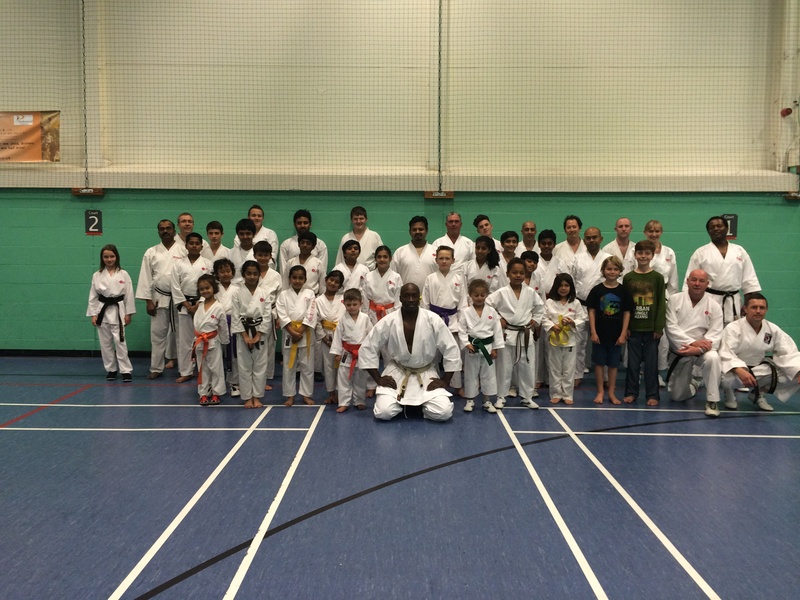 Within our group we had karateka from multiple Ruach clubs dotted all over Birmingham and the West Midlands and all of varying grades from 8th Kyu upwards. Old, young, first competition or 100th, we were all there together as one representing Ruach and it holds a nostalgic kind of feeling that I can’t quite explain. With a lot of time before my first kumite match I found myself helping out the newer members and giving some advice about what to expect. I see myself nowadays as more of a coach than competitor and feel a great sense of fulfilment helping the newer generation, almost to the same level as taking part myself. This new responsibility bestowed on me however doesn’t come without its’ downfalls as I feel that I have an extra pressure by means of responsibility to do well within the tournament. I mean, how can I positively critique our newer, less experienced members and help them to succeed if I go out there and take a beating myself? It can at times feel a bit embarrassing. I find myself questioning what my fellow team mates will think about the fact that I’ve been well and truly beaten. I wonder if they feel that they cannot use any advice I give as my own loss has shown that I’m no good myself perhaps. These thoughts will play on your mind, but self negativity will get you nowhere. A quick regroup with myself to gather my thoughts and I know what I can offer. You see the thing is it’s not if you get knocked down it’s how you get back up that matters. If I have to take a beating until the cows come home then so be it. I only have to prove something to myself and fortunately for me I’m not a quitter. That’s what I’ll pass on. Full credit to Pete Watson my opponent in that fight above though . He caught me with a cracking ushiro mawashi and I felt that for some days after. He went on to become silver medalist at the first C.I.K.A. event in that category. A feat that was made even more special in that he fought on with a fractured arm in the final. Another non quitter and he has my full respect. I wish you every success in the future Pete. I need to pay tribute to a former work colleague of mine who started up karate on my advice and since then hasn’t looked back . Joining Ruach only 1 year prior he has gone at it full throttle with his son in law and full credit to them for their achievements and hard work that they’ve put in. It happened to be their first competition and not really knowing what to expect they entered both kata and kumite events. I watched with part horror and part excitement as they fought their respective kumite bouts. Not only can kumite competition be daunting at any level it is made even harder getting up there for your first competition; particularly as a 7th kyu fighting a black belt! The thing is it is totally different to training. This time you have somebody in front of you that’s looking to win and although it’s in a safe(ish) environment, it could never in my opinion be classified as safe as you would be training with fellow club members. Both Tony and Richard did themselves proud. They were beat, but more importantly they gave it a go and they didn’t back down. It shows a lot about a person’s character to just sign up and I hope this will be the beginning of many competitions for them. On to Tony’s kata performance and he amazingly got through two rounds to reach the last four and pick up a joint third bronze medal. I watched in awe how this yellow belt got up there, did his kata and did it like he meant it. Technically both were about the same level, but Tony’s aggression and determination in his kata got him through and that served as a gentle reminder to the interview of Lefevre Sensei only days before. In total Ruach managed to go home with approximately 5+ medals and everybody enjoyed the day thoroughly. The event finished early evening and it was great to see the Ruach family competing together and generally just enjoying themselves. One final mention must go to Jason Netherton who did a brilliant job organising and hosting the event as the face of C.I.K.A and to our Sensei Gary Beggan who works tirelessly blood, sweat and tears to teach us and motivate us to get involved in the competitions. It may seem some as just a competition, but it’s so much more than that. It’s a confidence booster, an achievement for some just to get up there and a chance to make new friends, it’s about life skills and through karate we have that in which to thank. A New York City subway train holds 1,200 people. This blog was viewed about 5,600 times in 2015. If it were a NYC subway train, it would take about 5 trips to carry that many people. 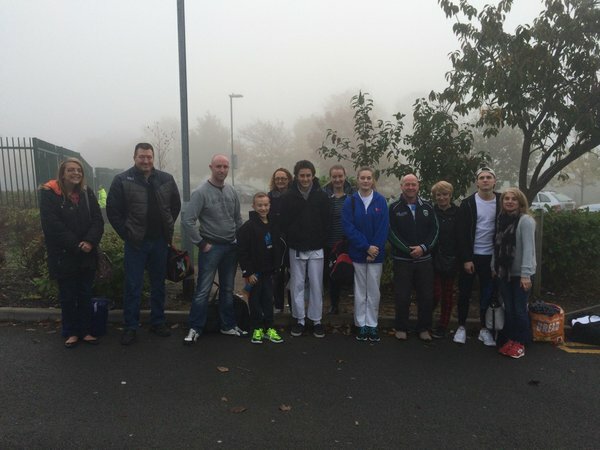 The JKS Championships were held this year on Sunday 1st November at the Wildcats Arena in Nottingham and a few of us from Ruach karate club took the journey up from Birmingham to take part. I was particularly looking forward to this tournament as it was the first since our Karate Union of Great Britain (KUGB) days that I had entered using Shobu Ippon rules. For those that aren’t aware: Shobu Ippon is whereby a competitor must score one full point (ippon) in order to be declared the winner. For less decisive strikes, half a point known as a wazari may be scored and two of these will combine to make ippon. I don’t know about you, but I love this rule. I personally think it’s much better than the three or four ippons to win that you see predominantly in sport karate. I can’t tell you exactly why this is but I have a few possible ideas. Maybe because it’s what I was brought up with from the KUGB. Maybe it’s the extra realism that projects through, the age old vision of one killer blow to finish off your opponent. Maybe I’m just getting old and going through 3 or 4 ippons for the win will put me in recovery for about 12 months! The Ruach clan left from Cocksmoor Woods Leisure Centre around 7:15am made up of around 7 of us and headed up to the Wildcats Arena on what turned out to be a very foggy Sunday morning. After arriving at approximately 9am, the juniors got changed and ready to get going whilst took a sneak peak at the venue. I was pretty impressed with the venue at the Wildcats arena. It boasted a nice modern hall with enough seating on one side to fit all the spectators. The arena consisted of 5 tatamis and boasted electronic scoring systems and time keeping to add an extra quality feel to the event. What I really enjoyed about this location though was the large room situated adjacent to the competitor area that gave ample space to warm up and prepare. Other events I’ve attended have unfortunately lacked proper warm up space and has put a hindrance on performance. Another added bonus of a segregated training area allows karateka to warm up without impeding the view of spectators watching the event. I remember an event fairly recently and it was a big pity that the facilities made it near impossible to prepare and gave me a sensation of a couped up chicken, definitely not free range! 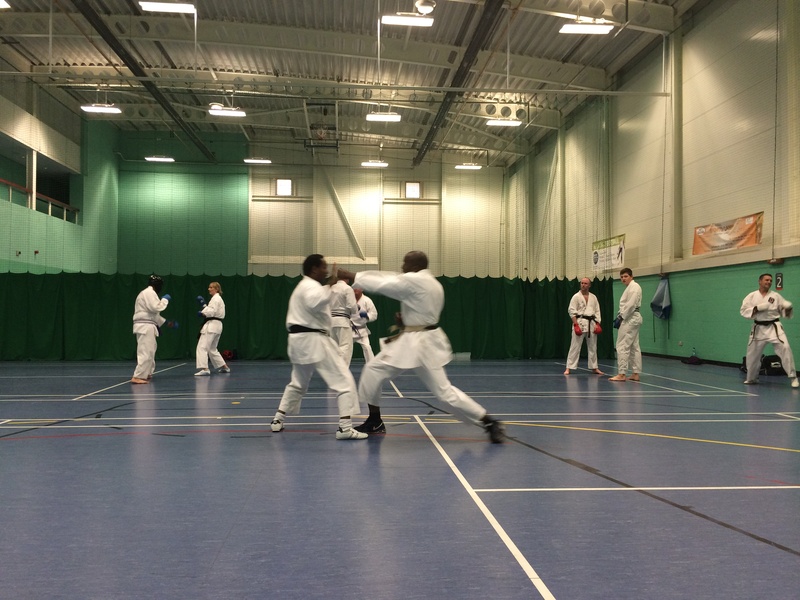 With a lot of events before taking part myself; I utilised the time taking a look around at some of the kata events and managed to see Lloyd Birt who looked on form with some crisp performances. It was also a time for me to be passing on some advice to the younger participants that had travelled down to make up the Ruach team. 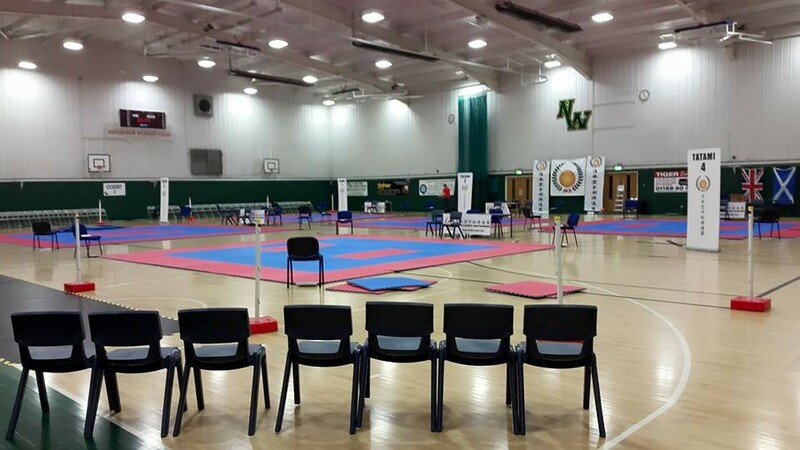 It reminded me of times when I was at that age just starting out taking part in KUGB central and National competitions and reminded me of the sense of anticipation before the event. 20 years on and I find myself passing on bits of knowledge that I’ve picked up from my various Sensei and so the teachings are passed down. Of the Ruach team that participated all did really well with a lot of medals in proportion to the amount of competitors we had. I didn’t manage to catch all the events due to competing myself, but I must give special mention to two of our team that did fantastically well. 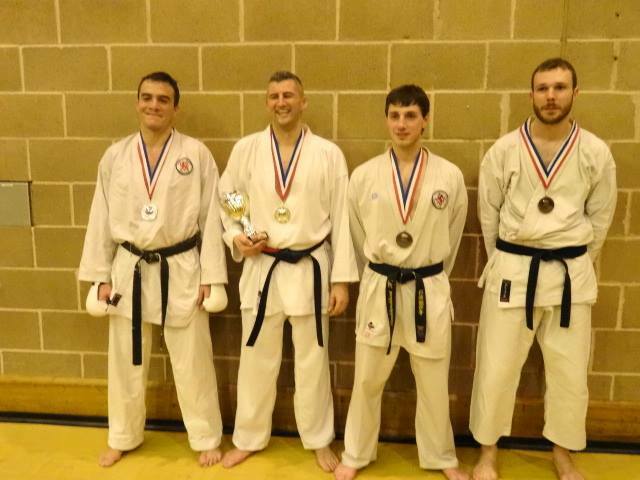 Dan Tuohey took gold in his kumite category after a cracking ura mawashi geri in the final for Ippon. He competed last year where he took silver, but managed to better it this year and claim the top spot. What is so special about Dan’s situation he’s extremely new to karate having taken up the art around 18 months ago. Dan is still young though, mid teens so technically in my opinion what I’d classify as a late starter. He has a lot of raw talent, a natural ability that you either have or you don’t and to top it off he works hard in training. To win his final match he needed not only a technical ability, but to use his head and work well under pressure which he managed to deliver and for that kind of mind set on such young shoulders I’m confident he will go very far in the karate world. My other mention goes to Danny Wild. He’s a young lad who battled through a very large group of competitors to take 3rd place. All in all he fought 4 hard rounds and thoroughly deserved his 3rd place finish with some good combinations. For such a young competitor he also had some moments whereby his mental strength needed to push through beyond his years. He unfortunately had to retire through injury, but there was nothing in my mind that suggested he could not go on to win the competition. You can see one of Dan’s fights below. For myself I entered the individual and team kumite and found myself getting a bye in the first round before being knocked out (not literally) in the 2nd for the individual kumite. In the team event we had problems from the start. Unfortunately one of our lads was injured a week prior to the competition and Chris stepped in at short notice to make the team of 3 along with myself and Artur. The problems didn’t end there and Artur had an accident on the way up to the event and couldn’t make it either. 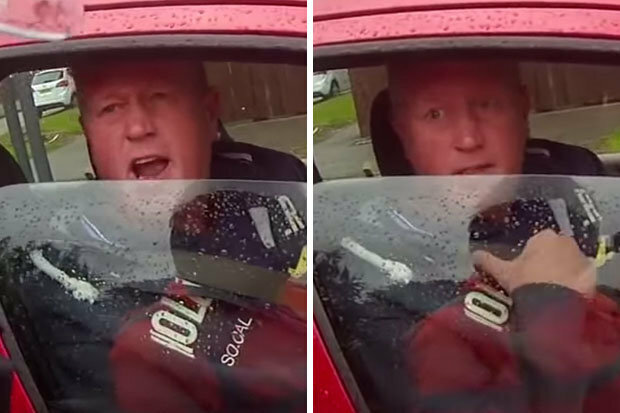 Thankfully he wasn’t hurt. Our team of three was reduced to two and after some conversations with the referees we were allowed to enter as a 2 man team hoping to win both bouts and to progress with a 2-1 victory. I decided to put our bye as the 1st man before stepping up to fight coincidentally the same lad I had fought in the individual kumite. I felt as though I fought better in the team event than the individual, but didn’t manage to beat my opponent at the second time of asking missing out on an ippon with a foiled follow up from my ashi sweep. My opponent fought well. He was quick and sharp and proved that with his 3rd place finish in the earlier individual event. The defeat meant that there was no way of progressing and Chris didn’t get to fight. My team kumite fight can be seen below. All in all I thoroughly enjoyed this event and look forward to taking next year. The event was well run and a good time was had by all from Ruach and from what I could see the spectators. I continue to test myself against new competitors whilst looking to give back to the younger generation as I was helped so many years previously. Most of you won’t know me, I’m a soon to be 31 year old guy whose been doing karate for many years. I haven’t won national titles, I’m not an England International, I’m not someone that you’ll find much out about if you type my name in to Google, (I’ve tried.) I have a regular job working my backside off to pay the bills just like any other regular bloke and in my spare time I write a blog. If you’re in the karate World there is a guy however that you have probably heard of. Not because he’s been shouting the question from the rooftops like Mr. Pickering, moreover he’s just a hard working successful bloke that helps us karate nerds feel proud to be just that, karate nerds! Saturday 10th October gave me the opportunity (thanks to Sensei Beggan) to train with arguably one of the most famous karate practitioners in the World. He’s not only a national champion in his field, creator of the highly sought after Seishin Gi, but is most notably known amongst so many karate-ka due to his insightful blog Karate by Jesse. (opens in new window) Enkamp “san” officially makes being a karate geek cool and I was privileged to be able to attend his first ever UK seminar in Oldbury hosted by Tipton Shotokan Karate Club. We arrived for our 3 hour session nice and early, eagerly anticipating the start and what would be in store for us. The group of 60 or so were in full force, some sporting their karate nerd tshirts just prior to the event. The atmosphere was friendly and jovial which I think reflected the persona of Sensei Enkamp that comes across from his website. After a good thirty minute warm up with partners, Sensei introduced us to the lesson plan looking in to the concept of Rei. 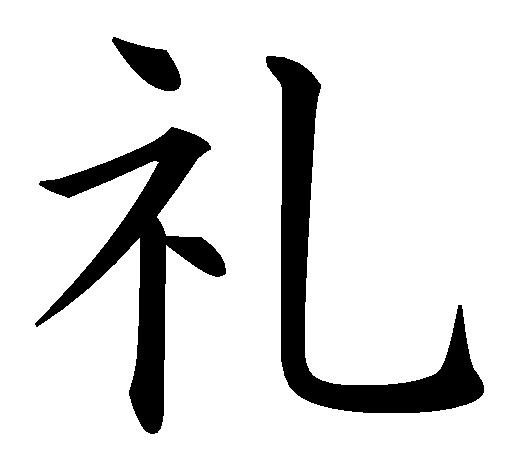 Rei can have many different meanings and different kanji can be used, however the one we were referring to was that of bowing, and etiquette. Sensei Enkamp initially pointed out that as the whole body is connected when we perform rei, then it was important to look at not only the feet and ankles, but knees, back and even neck. It was fascinating to see how much Sensei could show us on one subject and I feel that he may have only touched the surface in the three hours with plenty more to show given half a chance. At one point whilst Sensei was having us work on flexibility in our ankles, our mission was to lay back on the floor. From this position we were to roll backwards (legs in the air behind our head) before projecting ourselves forward and landing on one foot, the other sticking out like one of those traditional Russian dancers. See the video below and you’ll know what I mean. In fact these Russian dancers would have had a serious advantage if they’d have come down to the seminar! My effort was just that, an effort. It may have resembled a hippo at times crash landing from the sky occasionally during my ascent to the position, but hey, God loves a trier! Below you can see Sensei Enkamp landing how it was supposed to be done. Oh and if that wasn’t hard enough Enkamp Sensei would swap legs from that position, just for good measure! Throughout the seminar Jesse San kept us entertained with different exercises and partner work that utilised the whole body whilst drawing our attention to some key concepts for body mechanics. I faired pretty well with the “trap your partners hand under your body test” and elements fort this concept reminded me of previous seminars with Sean Roberts Sensei (opens in new window) albeit differently explained. A memorable moment during the seminar included the Japanese version of rock paper scissors whereby partners interlinked legs and played rock paper scissors. The winner gaining an opportunity to stretch the partner’s legs towards a split like position until they gave up. Just another example of a fun way to incorporate stretching and flexibility in to lessons that Jesse Sensei managed to incorporate so well. I’d finally like to thank Jesse Enkamp Sensei for such an amazing seminar that I’m proud to say I was apart of. 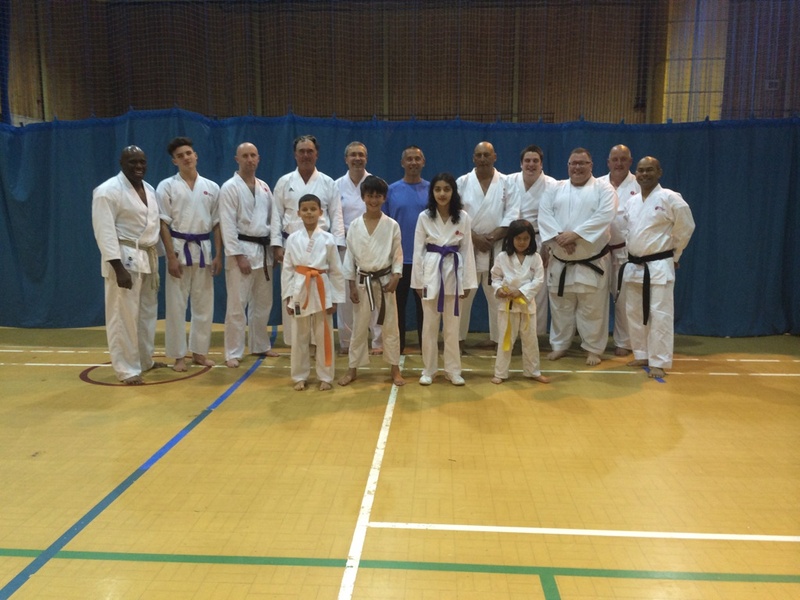 Also to Tipton Shotokan Karate Club for again providing amazing seminars with great karate exponents. Finally I’d like to thank Susan Dixon for whom took some great photos that I’ve been given permission to use in my blog. I’m happy to say I got a picture with Jesse San doing it how it’s supposed to be done, karate kid style! Daniel LaRusso eat your heart out! Finally: A word of advice to anyone attending a Jesse Enkamp seminar, take a pen and paper, you’ll remember more and score some kudos points! In preparation for the JKS England Karate Championships on Sunday 1st November, Ruach Karate had a special guest in 3rd Dan Julian Cunningham Sensei to come join us for our session at Tudor Grange Sports Centre, Solihull. Sensei Cunningham began his Shotokan karate training at Benson SKC trained by Sid Gordon Sensei at the age of 12 and found a natural aptitude for kumite. 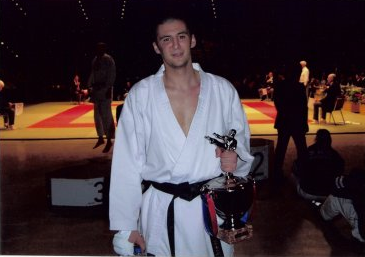 After winning his first tournament in the over 5ft 3, 12- 15 years category at an open event the very year he began karate gave him the competing bug in which the Shotokan journey started. 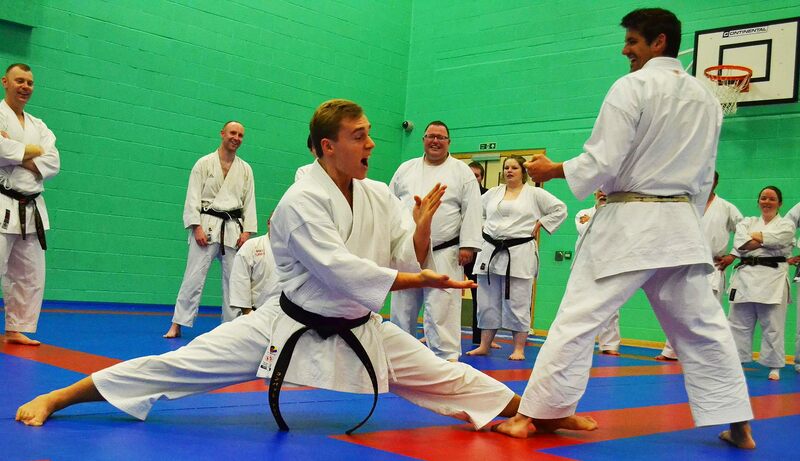 Whilst taking his 1st Kyu at 15 he was noticed by Andy Sherry Sensei who invited him along to the Shotokan Cup with a view to a possible spot in the Junior England team. 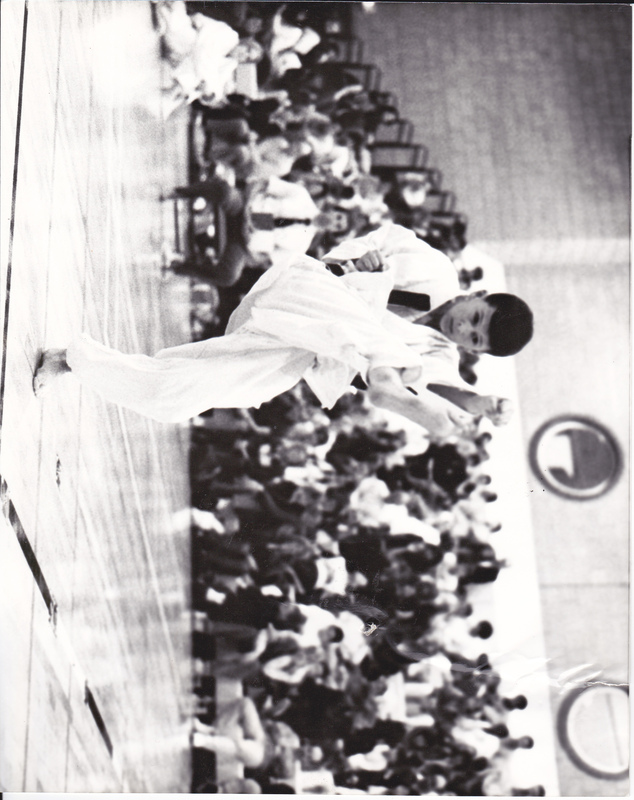 This time aged 15 Julian Sensei again fought in the same category that saw him gain success at an open competition aged 12. After making it through to the semi finals he was well on his way to impressing to gain a spot on the Junior England Squad. It was in this round that he found himself fighting one of Sherry Sensei’s students and during this fight found himself disqualified for excessive contact to the face. For now his England ambitions would have to be put on hold as he heard nothing after. Undeterred, Sensei Cunningham kept his head down and remained diligent in his karate efforts and just over a year later was noticed by the late Enoeda Sensei who invited him on to the England Squad. 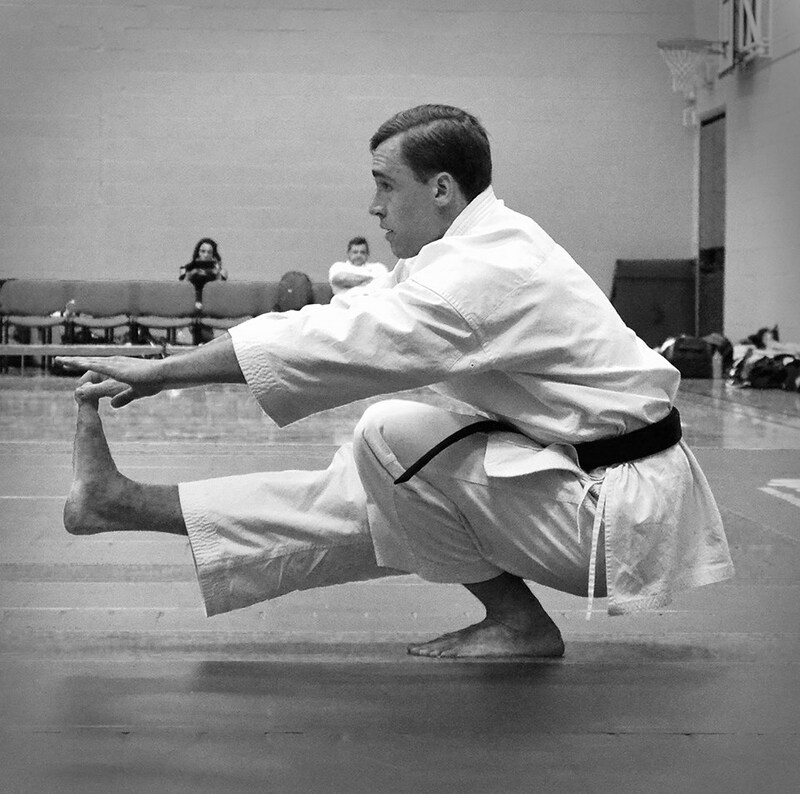 It wasn’t long after when Sensei Cunningham represented England at Junior level and was successful in the team kumite event taking home gold. From here the success continued to follow. 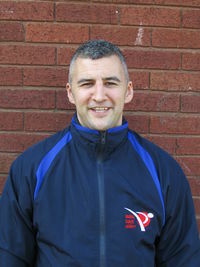 I remember Julian fighting during his days at Kaizen in the West Midlands and he was a pleasure to watch at Central and National tournaments boasting his strong, powerful kumite technique. Anybody that would face Julian would very well have ha a sense of anticipation due to the sheer presence of this fighter. I personally never fought Julian during a tournament. The closest I got was during a Team Kumite event at the Central Regions where our team Ruach comprising of 2015 Silver World medalist Greg Hegarty, Harry Kavanagh and myself faced Kaizen made up of Julian Cunningham, Austin Shields and one other for a spot in to the finals. I remember Greg deciding the order at the beginning. Greg was confident Julian would be going up first and I asked him to put me against him. Not thinking I had a chance of winning, more so hoping to use myself as cannon fodder, let Greg hopefully take out Austin and let Harry fight the remaining fighter for Kaizen. 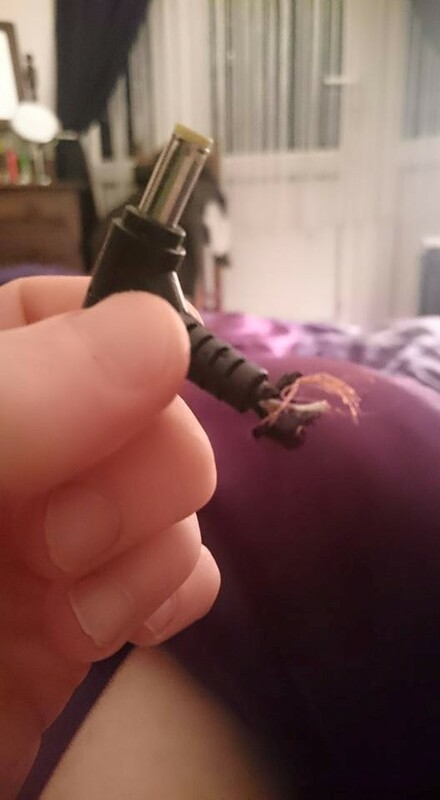 It wasn’t meant to be. Greg wanted to fight Julian and that was that. I don’t blame him. If I was at the top of my game then I’d want to be fighting the best too. A chance to test myself against one of the best fighters in the country. Back then I was only thinking of tactics and progression to the final. Putting my body on the line against a better fighter to help the team push through to the next round. From what I remember we lost that semi final 2-1 with Harry winning and myself along with Greg succumbing to defeat. Austin gave me a good mawashi geri chudan kick in that match that I felt for a good day or so after! Fast forward around 12 years and now Julian had come to help out Ruach. Kaizen had since shut down and reopened fairly recently in the last few years under the guidance of Rahela Gordon and Junior Laing Sensei. The lesson focused around speed reaction and multiple attacks. It was also worth noting that Julian emphasized on feinting with the opponent. The idea of drawing an opponent’s guard away from the target area with a feint before delivering one, two or more attacks in an unguarded area. From my own perspective the lesson was reaffirming information that we are taught with Ruach, which in turn is comforting to know that we are on the right lines with regards to the emphasis we put in to our Kumite training. I’d almost go as far as to say it was going back to basics, even with little things such as attacking when an opponent is on the back foot as opposed to coming forward. It seems obvious when I think about it now, but it’s funny how these seemingly minute elements help to create the difference between winning and losing. To take it further the difference between a possible black eye or not in the outside World. We train week in week out and sometimes forget the fundamentals and without these we have no solid base in which to progress. The 2 hours spent with Julian Cunningham were extremely hard work pushing our stamina levels and mindsets to the limit. Anybody that has taken part in a Kumite event will know that bouncing around on your toes for 90 seconds may not sound a lot, but when incorporated in with techniques and reaction times for attack and defenses it can really start to take its toll. Doing this for a couple of hours had multiple benefits as our karate is only as good as the delivery of our technique and determination to succeed. Julian Sensei is a firm believer in being the best you can be and this is something I agree with totally. As the stamina levels drop and the technique starts to fade, the mental side kicks in. You come to a cross roads and at that moment have to decide whether to push through the pain barrier and “fight” on or give up. This lesson definitely tested me for that very reason and I’d like to thank Sensei for pushing me with the lesson he had planned. People ask me if karate is good for fitness as a beginner. It’s a tricky question to answer, but let me try to explain. If we look at the syllabus for a newcomer, in essence it could be one block, one punch, one step. It doesn’t sound a lot and technically speaking it isn’t, but I tell them that it’s how you move and the determination you put in to succeed and move fast. Karate can be as relaxed or as tough (fitness wise) as you make it, although the first tends not to be in my dictionary! Although our lesson with Sensei was specifically for higher grades I mention the above as it is important to remember that just because the basics may come across as boring or unexciting, they are inevitably an extremely important part of our karate and it is my opinion that you should put 100% in to everything you do. With regards to any sport or karate we then have an added bonus that if we lose then we know that we could have done no more, our heads can be held up high. Julian Sensei thanked me for taking the warm up prior to his arrival, which he did not need to do, but to me displays an extra element of a down to Earth humble guy to add to his repertoire in addition to his Kumite skills. Thank you Sensei on behalf of myself and other karateka for the words of wisdom! The next day was a 2nd battle I had not expected; Stiffness in the joints which preceded to go from bad to worse as the day went on. Whilst working in the GP Surgery I found myself getting to a stage whereby patients were asking if I was alright, the hobbling showing signs of a beating or another age related problem 😉 As they say however, no pain no gain and from this lesson I definitely gained so thank you again Sensei Cunningham. It was great to see you and hopefully we get to do another session in the not so distant future. SEMINAR: KARATE KID MR. MIYAGI’S DRUM TECHNIQUE EXPLAINED! I apologise for the lack of additional material on the site. 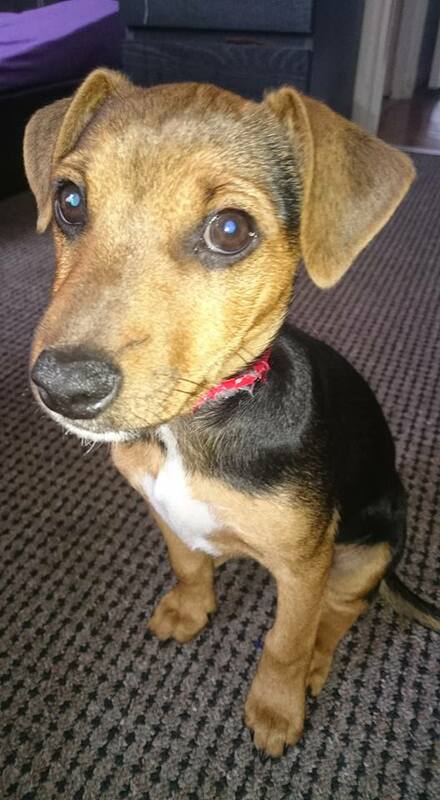 Since I last wrote I have acquired a black and tan Jack Russell, moved house and subsequently not found the time to fit everything that I wanted to do in to my schedule, including the updates to this site/ blog. 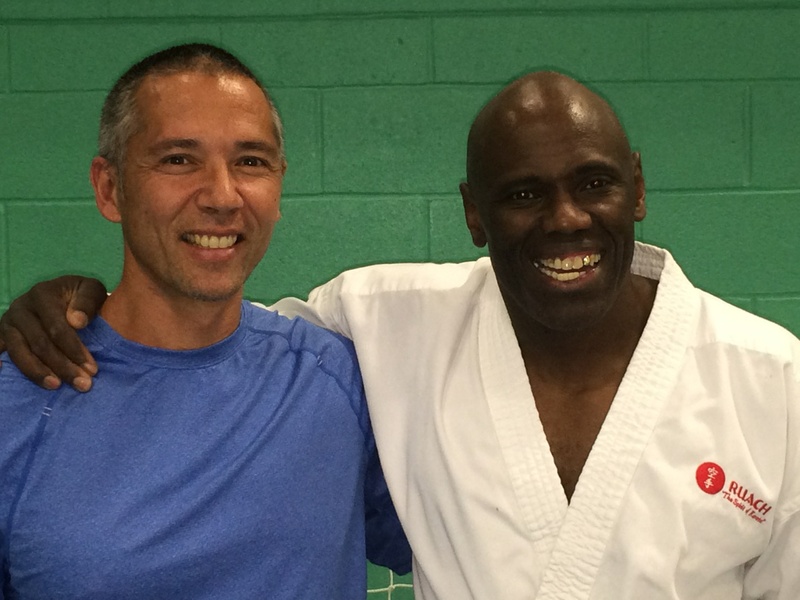 You may or may not have read my previous blog post from last year regarding a seminar with Sean Roberts Sensei, but Sunday 16th August gave me the opportunity to once again train with this Shotokan karate legend. Sensei Roberts who now lives in Hawaii has spent a lot of time with Minakami Sensei who again during a 4 hour session based at both Cocksmoor Woods and Tudor Grange gave me the opportunity to work on karate back to it’s basics. To attack and defend using the body core (torso) by retracting, extending and retracting back to the original position. This might seem like gobbledeegook so I’ll try and elaborate further…. If you have space and are alone (or in front of others and you won’t get embarassed) then stand up. Now, If we were to think of the core of our body it would be the torso, the centre of us. Now remember that our limbs are just extensions of our torso. When we relax our arms they dangle to the side of us. Now I want you to twist your body violently left to right and back again multiple times in quick succession. What happens? If your arms fling out in mad directions then congratulations you’re doing it right and you’re human! So what does this all have to do with karate? Well what if there were a way to control the limbs from the torso when it was engaged correctly? What if the arm position on engagement of the torso were able to utilise the limb to perform blocks and strikes? In karate, most karateka would be taught to twist the hips to utilise the power before punching out. Imagine that but a step backwards. Our arm not using energy to punch, but our arm merely being an extension of our torso and once that is engaged correctly it will fling out to attack or defend as one with our whole body. I’m not kidding anyone now when I say this is hard. Whether it is because we’ve been taught for so long to engage our body in a certain way that unlearning makes it more difficult I don’t know. We then have to factor in that this isn’t just for one block/attack… If we recoil the body correctly it will snap back the limb and a swift engagement the other way with our torso will be able to send the other arm or leg into action. This isn’t something that is learnt over night. This is something that I can take away and continue to try and engage in my karate. For some it will work, others it won’t. It’s up to us as karateka to listen first and foremost to the knowledge and take on board what we can use whilst discarding the rest. Mr. Miyagi and the karate kid! If you’ve seen it then no doubt you’ll know what I’m talking about but if not he once spoke about a drum, the small hand held drum with two pieces of string either side no more than 3cm-4cm and attached to the end of these pieces of string were a wooden ball. So this was Mr. Miyagi’s family secret and at the time it made no sense. If we were to twist from the drum handle left to right and back again, the string whips round and hit the balls on to the drum. So, can it be that the drum is the body’s torso equivalent and the string are representative of the limbs? To me it seems that this “drum technique” actually has real life value and wasn’t just wish wash for entertainment purposes after all. Have a look below and judge for yourself. And if that doesn’t convince you, this bloke is showing showing it how it’s supposed to be! Thanks for taking the time to speak with me Greg, could you tell us a little about how you got in to karate? Yes, I began training at the age of 6 years old, as you know Ronnie Christopher is my uncle, and my brother Stuart trained also, so I spent a lot of my early years watching Karate and attending competitions supporting them both. From what I’ve been told I would constantly nag Ronnie to let me start (I eventually wore him down). I was always interested in sports whether it be watching or participating. It didn’t matter what sport it was. But like most young boys I loved football and would spend hours over the park playing with Stuart and my cousins. So would I be right in thinking that sports came naturally to you? I don’t know about sports coming naturally to me but I think it’s the same with anything if you are interested in something you tend to put more effort into it. You mentioned you eventually wore Ronnie down. Did he not want you to start? I don’t think it was a case of Ronnie not wanting me to train it was more like I started asking as soon as I could talk! Hahaha. Remember at that time karate was very much an adult environment particularly at our club there wasn’t any children my age. That leads me nicely to my next question because I always remember Ronnie saying that from a young age you were always treated with the same kind of aggression and ferocity as the adults. How much, if any did this benefit your karate to make you successful within the art. Yes I think it did and still does benefit my karate because I believe you need to have that realism within your training particularly with competitions now focusing on the sport aspect over martial spirit. Do you feel the tough love approach to training you received benefited you for your karate successes? I don’t really class it as “tough love” there was definitely a mixture. If I needed a kick up the backside I got one and if I needed encouragement or an arm round my shoulder that was there to. I was very fortunate that my Sensei knew me and my personality very well, sometimes better than I did myself. Could you tell us a bit about your rise to the England Squad? Yes I trained at Cocksmoor Woods from late 80s competing in Kata until I was 12 as they didn’t have Kumite for under that age. I came 3rd in the central regions in my 1st competition in children’s kata. 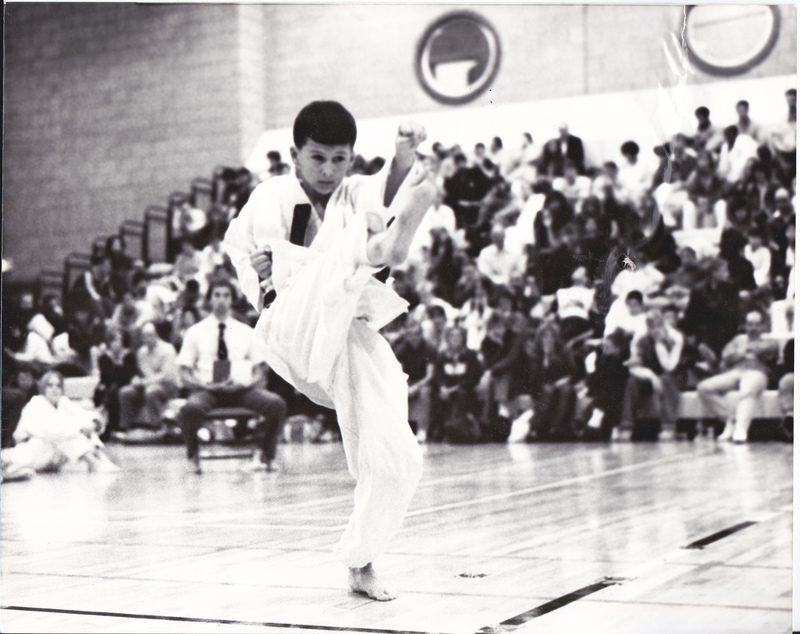 My first Kumite event was the 1991 KUGB Nationals at Crystal Palace where I came 2nd in under 5ft category and I was subsequently invited to train on the junior squad at the age of 14. Did you ever stop training at any point? I never had a break from karate but relaxed my training a bit through my adolescent years with other distractions. Before last year the last time I competed was 2003 due to the birth of my son Thomas and having a whole load of other priorities. Around that time I had also been told that I required hip surgery which I thought had put an end to me competing, but, some time after I got a 2nd opinion and was told that actually I don’t yet. This gave me the hunger to compete again and now I’m back on the senior squad this year! Would you say that your hip replacement scare has given you a desire to seize the moment and not leave anything until it’s too late? Yes it definitely has given me a wakeup call. As I said before last year the last time I competed was in 2003. It was never the plan to retire back then, I was only planning on having a year off the squad, but various things happened in my life that made the decision for me. So when I got the all clear with my hips I started to up my training and got the bug again. How is the training for the England squad and how do you manage to fit in whilst being a Dad and running your own club? I am really enjoying the training, obviously it is very hard (mentally as well as physically) but after the time out I had I relish the opportunity to train under in my opinion two of the best karate exponents in the World Sensei’s Andy Sherry and Frank Brennan). It is very difficult juggling family life, training, and running the club (as well as holding down a full time job), but if you want it bad enough you make time and put yourself out. So it consists of training before work and teaching straight after. It also helps that I have a very understanding wife ha ha. I bet it does! Can you tell us a little about your club? Yes I started the club just over 3 years ago in Solihull and its growing very nicely I now have over 60 members training at various venues 4 times a week. I have 7 students that have achieved Shodan all being graded by Sensei Andy Sherry 9th Dan (Chief Instructor of the KUGB. Watching the progress of all my students as they move through the grades is something I am extremely proud of but not only that, one of my students has gone on to win a KUGB National title which for such a young club is a fantastic achievement. That’s fantastic and looks like the Solihull Karate Academy is going from strength to strength so congratulations! Finally I’d just like to thank you personally for the memories of my first senior fight at 16. Ronnie told me that it wasn’t normal for most to fight at that age in the Seniors. He had to get permission off my dad for me to go in! In that very competition before the fight you said wait for the attack and use gyakuzuki timing on the attack. I did it and it ultimately secured the wazari for the win. 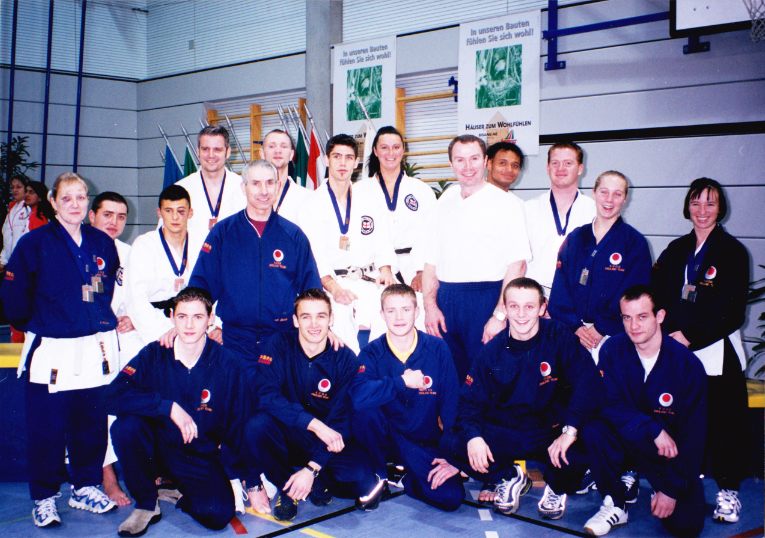 I also have fond memories of the bronze in the team Kumite at the Central’s fighting alongside yourself and Harry. Thanks for taking the time out for the interview Greg, Osu! Reporter Edit* Since going to publish Greg Sensei finished 3rd at this years British Championships held on 2nd May at the NIA, congratulations! Well… not me as such. My own birthday was in December when I finally left the 20’s and hit the big 30. 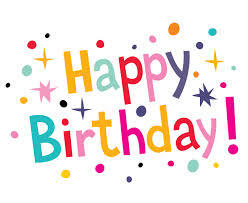 Instead today marks the first anniversary of the Shotokan Karate Training website. It’s been quite a year if I look back. In a nutshell I’ve started to enter tournaments again, attended new seminars, met new karate friends and for the first time put my thoughts down in writing for the purpose of this site and I’ve enjoyed every minute of it. I’d like to say a thank you to everybody who has supported me with this over the last year and also followed the Shotokan Karate Training page on Facebook. Without your support it wouldn’t be worth doing it. I’d like to give a special thanks to Tipton Shotokan Karate and Matt Price Sensei for the seminar and content Matt allowed me to upload. Also I’d like to thank my own club Ruach, Gary Beggan and Ronnie Christopher for their teaching and opportunities to enter various competitions. In addition to this Sensei Sean Roberts who came over from Hawaii. There were some extremely mind boggling lessons there that i;m still trying to implement in to my karate, I’d also like to mention World Champion Luke Howard for his time for the interview for the site it is much appreciated. 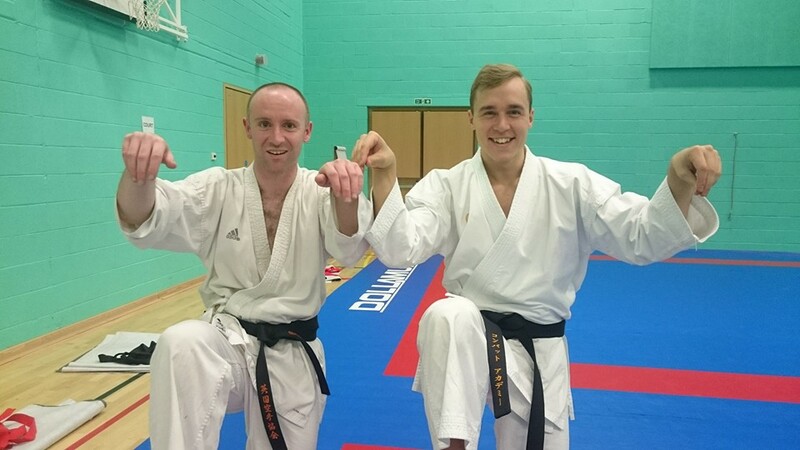 I musn’t forget old friend and Sensei Tom Davies and his South Staffs club along with student Louis Powell for the excellent Kyu grading syllabus material permission to upload. Finally I’d like to thank Sensei John Johnston for his publishing of my material to a wider audience stirring up quite a good debate earlier on in the year and the invite to Birmingham University to take on some of his students. Here’s to another successful year and I hope to see you back to take on the journey with me.